If you live in the northwest suburbs of Minneapolis, you know that having a good whole house water softener in your basement is not a luxury -- it's almost a necessity. It creates hard water deposits on our fixtures and sinks and in our appliances. It reduces the life of our washing machines and water heaters. It requires more use of soap and detergents. It corrodes our pipes and restricts water pressure. It causes dry skin and can irritate other skin conditions. It can ruin our clothes. Your fixtures, sinks, tubs and showers won't have hard water deposits for you to clean. Your soap will lather better and rinse off easier. Your dishes will come out of the dishwasher without all those water spots. Your family's showers and baths will be much more enjoyable. Kal's Plumbing is a 2nd generation family-owned company. Kal's Plumbing has an A+ rating with the Minneapolis Better Business Bureau, an A rating on Angie's List and has a Super Service Award and the Highest Rating for Value & Quality from Twin Cities Consumer CheckBook Magazine. The top-rated Clack Millennium water softening system is considered the best water softener in use today. It uses 30% less salt and 30% less water than conventional water softener systems. In fact, it's the only brand Kal's will install. Plus, Kal's sells and installs this unit for hundreds of dollars less than those national water softener companies charge. Read more about Clack. How Hard is Blaine's Water? The water in Blaine, Minnesota, is much harder than the water in most towns. Technically, water hardness is measured by Grains Per Gallon (GPG). GPG between 7 and 10 is considered hard; GPG over 10 is considered extremely hard. The GPG in Blaine is 19. Nothing. Just call. 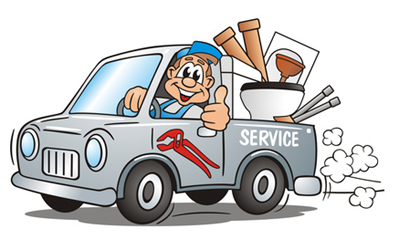 Kal will take care of the softener, installation, parts, supplies and delivery. Copyright ©2019 TwinCitiesWaterSoftener.com All Rights are Reserved.